The CINEMAX drama series WARRIOR begins its ten-episode season FRIDAY, APRIL 5 (10:00–11:00 p.m. ET/PT). Filmed in Cape Town, South Africa, the show is based on writings of martial arts legend Bruce Lee, and created and executive produced by Jonathan Tropper (CINEMAX’s “Banshee”) under Tropper Ink Productions and Justin Lin on behalf of Perfect Storm Entertainment. WARRIOR is a gritty, action-packed crime drama set during the brutal Tong Wars of San Francisco’s Chinatown in the second half of the 19th century. The series follows Ah Sahm, a martial arts prodigy who emigrates from China to San Francisco under mysterious circumstances and becomes a hatchet man for one of Chinatown’s most powerful tongs (Chinese organized crime family). The story follows New Yorker Rachel Chu (Constance Wu) as she accompanies her longtime boyfriend, Nick Young (Henry Golding), to his best friend’s wedding in Singapore. Excited about visiting Asia for the first time but nervous about meeting Nick’s family, Rachel is unprepared to learn that Nick has neglected to mention a few key details about his life. Not only is he the scion of one of the country’s wealthiest families, but also one of its most sought-after bachelors. Being on Nick’s arm puts a target on Rachel’s back, with jealous socialites and, worse, Nick’s own disapproving mother (Michelle Yeoh) taking aim. It soon becomes clear that the only thing crazier than love is family, in this funny and romantic story sure to ring true for audiences everywhere. Color Force’s Nina Jacobson (“The Hunger Games” films) and Brad Simpson (“World War Z”), and Ivanhoe Pictures’ John Penotti (“Hell or High Water”) produced the film, with executive producers Tim Coddington, Kevin Kwan, Robert Friedland, and Sidney Kimmel. The screenplay is by Peter Chiarelli and Adele Lim, based on the novel Crazy Rich Asians, by Kwan. The creative filmmaking team included director of photography Vanja Černjul (“Marco Polo”), production designer Nelson Coates (“Fifty Shades Darker”), costume designer Mary Vogt (“Kong: Skull Island”) and editor Myron Kerstein (“Going in Style”). The music was composed by Brian Tyler (“Avengers: Age of Ultron”). “Crazy Rich Asians” was filmed entirely on location in Singapore and Malaysia. It is set for release on Wednesday, August 15, 2018. Warner Bros. Pictures presents, in association with SK Global and Starlight Culture, a Color Force/Ivanhoe Pictures/Electric Somewhere Production, a Jon M. Chu Film, “Crazy Rich Asians.” The film will be distributed worldwide by Warner Bros. Pictures, a Warner Entertainment Company. It is rated PG-13. My Bev’s Girl Films partner Garth Kravits and I are delighted to have our short film, Hide and Seek as an official selection of the 12th Annual 2017 Huntington Beach SoCal Film Festival. Our Southern California Premiere screening is on Saturday, February 11, 2017, at the Huntington Beach Central Library Theater at 7111 Talbert Avenue, Huntington Beach, California 92648, at 3:00 pm. The 12th Annual 2017 Huntington Beach SoCal Film Festival hosts 3 days of feature and short films, including comedies, dramas, documentaries, animated and international films, February 9th through 11th. The 2017 Huntington Beach SoCal Film Fest is featuring the works of two Huntington Beach filmmakers: Russell Emanuel’s science fiction, feature film, OCCUPANTS, which opens the festival on Thursday, February 9th; and Brian Barsuglia’s feature film adaptation of THE STRANGE CASE OF DR. JEKYLL AND MR. HYDE, which is the Closing Night film on Saturday, February 11th. The 3-day festival includes over 40 films chosen by the Huntington Beach SoCal Film Fest panel of distinguished jurors. This year’s roster includes films from 10 countries, 18 women filmmakers, 10 first-time or student filmmakers, and 10 Southern California filmmakers, giving a wide array of thought-provoking, entertaining and exquisite films. Passes and individual tickets for the Huntington Beach SoCal Film Fest can be purchased here. 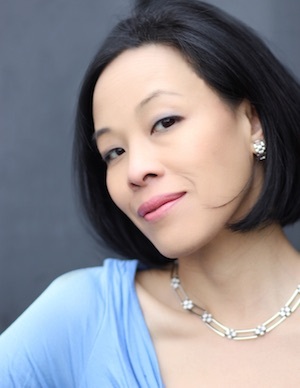 Lia Chang (Big Trouble In Little China, New Jack City, King of New York) stars in Hide and Seek, a film she co-produced and co-wrote with Garth Kravits (The Drowsy Chaperone, “The Blacklist,” “Nurse Jackie,” “Hostages” ), who is also featured in the film. Hide and Seek addresses the topic of media images that validate beauty in contemporary America. Hide and Seek was named among the top ten films of the 2015 Asian American Film Lab‘s 72 Hour Shootout -Two Faces – Filmmaking Competition, and Chang received a Best Actress nomination for her starring role. Kravits shared camera operator duties with Evan Daves, composed the original score with Tyler Kent, directed and edited the film. 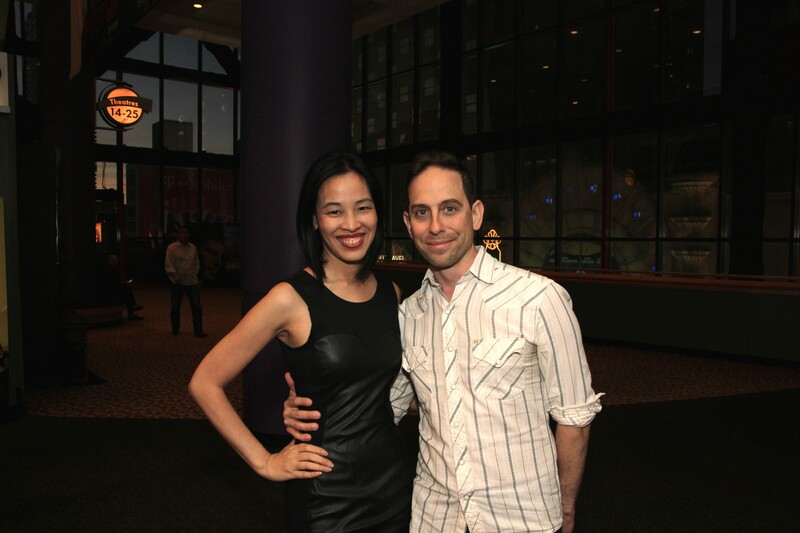 Bev’s Girl Films producing partners Lia Chang and Garth Kravits. Other films screening include Going to the Dentist (International), Monsters (Narrative), The Evans Girl (Narrative) and The Opera Singer (Narrative). filmmaking teams have just 72 hours to conceive, write, shoot, edit and submit a film based on a common theme. The winners were announced during the 38th Asian American International Film Festival in New York last July. The theme for 2015 was ‘Two Faces’ and was part of a larger more general theme of ‘Beauty’. It only took Lia and I about 30 minutes to come to an agreement on the basic concept and main character. Lia suggested that the ‘Two Faces’ be the two faces of one person. From there our ideas snowballed. The truth is, given the semi-controlled mayhem that is inherent with these kind of time constraints, we were so focused on the story telling and the shooting/editing that it really wasn’t until the screening and subsequent audience response that we realized the impact of the message we’d created. Of course, it was our intention all along to address the issues of beauty, the challenge women face et al, but we didn’t set out to make a ‘message-y’ film. That being said, we’re both very happy that our story has resonated with so many of the people that have seen it. Chang: I began my career in the arts as a model, before adding my hats as an actress, a photographer, a journalist and now, filmmaker. I’ve seen and experienced it all. While the film is a work of fiction, I know many people, not just women, who have felt the way my character feels in the film, a certain kind of invisibility. I am grateful that my parents, Bev Umehara and Russell Chang, instilled a healthy sense of self-esteem in me from an early age. My parents Russ and Bev on their wedding night in Las Vegas in 1963. What challenges did you face in making this film? Kravits: Other than the challenges already mentioned, I think the biggest challenge was getting the story told without the help of dialogue. One of the first decisions I made, as the director of “Hide and Seek,” was that our film would be silent and use underscoring of original music that I was planning on composing. The decision was mostly predicated on knowing how time consuming the editing of dialogue can be and given the various locations we shot in, I didn’t want to worry about having to mix room tones in such a short amount of time. The challenge with this, however, is that the large part of the storytelling responsibility fell to our lead actress, and co-creator of the film, Lia Chang and her ability to convey the whole story with just her face, basically. I’m happy to say that not only did she succeed in this capacity, but it also earned her a Best Actress Nomination at the 72 Hour Shootout competition. What inspires you to create as an artist? Chang: The importance of inclusion and gender parity. The lack of positive images of Asian Americans in mainstream media. All of the mediums that I create in – as an actress, a photographer, a journalist and a filmmaker – are all forms of storytelling. I consider myself fortunate that I am in the position to decide which is the most effective way to tell our stories. Seizing the reins by producing our own films and creating multi-dimensional characters as opposed to the many stereotypical roles that were offered me early in my career as an actress is what drives me. I have a very low boredom threshold. Kravits: I think I can speak for Lia when I say that we both feel very strongly about telling stories from an individual’s perspective. We have each come from very different backgrounds and had vastly different experiences coming up in the ranks of this industry. But what we do share is a wealth of fantastic experiences with all of the characters we’ve met along the way. We are inspired daily by the people in our lives. Some stories we know well and some we learn as we go. Being able to shape and share these stories into new perspectives and new ideas is incredibly gratifying. Kravits: We have several irons in the fire. We are developing a musical short film and a sci-fi fantasy film and a narrative film. Chang: We formed Bev’s Girl Films to create films that foster inclusion and diversity on both sides of the camera. BGF collaborates with and produces multi-media content for artists, actors, designers, theatrical productions, composers, musicians and corporations. The narrative film we are working on is based on the story of my mother, Bev Umehara, for whom our film company, Bev’s Girl Films, is named after. It is a passion project that I have wanted to make since her unexpected passing in 1999. The film is about my mother’s calling which came late in life, at 47, when she made the sudden transformation from a humble hardworking secretary and mother of four, into a labor activist, a respected union leader, and a role model for rank-and-file workers, women of color, and for all Asian Pacific Americans. I can also be seen in NoMBe’s “Kemosabe” music video by Matthew Dillon Cohen. Garth Kravits is an actor, singer, musician and composer and award winning filmmaker. On television, Kravits has guest starred on “30 Rock,” “The Blacklist,” “Nurse Jackie,” “Hostages,” “Tin Man,” “Civil” and “The Carrie Diaries” and played opposite Keanu Reeves in the feature film Sweet November. Manhattan Theatre Club’s Broadway debut of August Wilson’s Jitney, directed by Tony Award winner Ruben Santiago-Hudson (The Piano Lesson, Seven Guitars, Gem of the Ocean) opens on Thursday, January 19, 2017 at MTC’s Samuel J. Friedman Theatre (261 West 47th Street). Jitney began previews on December 28th and will play a limited run through March 12th. Only one of the ten plays in two-time Pulitzer Prize winner August Wilson’s masterful The American Century Cycle has never been seen on Broadway – until now. Set in the early 1970s, this richly textured piece follows a group of men trying to eke out a living by driving unlicensed cabs, or Jitneys. When the city threatens to board up the business and the boss’ son returns from prison, tempers flare, potent secrets are revealed and the fragile threads binding these people together may come undone at last. MTC has a long history of co-producing works by this legendary playwright (King Hedley II, Seven Guitars and Piano Lesson) and is proud to produce this Broadway debut. After an unprecedented cinematic premiere resulting in the highest-grossing one-night Broadway musical event to date for Fathom Events, George Takei’s (“Star Trek,” “Heroes”) Broadway musical Allegiance returns to cinemas nationwide for an encore on Sunday, February 19, 2017 at 12:55 p.m. local time. This date is the 75th anniversary of Executive Order 9066, known as the Day of Remembrance, which marked the beginning of the forced relocation and internment of 120,000 Japanese Americans during WWII. “George Takei’s Allegiance: The Broadway Musical On The Big Screen” will begin with an exclusive introduction from Takei and immediately move into the musical’s presentation. After the feature, audiences will also be treated to behind-the-scenes footage and interviews with the cast and creators. Allegiance has a book by Marc Acito, Jay Kuo and Lorenzo Thione with music and lyrics by Kuo. Olivier Award nominee Stafford Arima directed in his Broadway debut. Andrew Palermo served as choreographer. The original Broadway cast comprised Takei as Sam Kimura/Ojii San, Salonga as Kei Kimura, Leung as Sammy Kimura, Katie Rose Clarke as Hannah Campbell, Michael K. Lee as Frankie Suzuki, Christopheren Nomura as Tatsuo Kimura and Greg Watanabe as Mike Masaoka with Aaron J. Albano, Belinda Allyn, Marcus Choi, Janelle Dote, Dan Horn, Owen ￼￼￼￼Johnston, Darren Lee, Manna Nichols, Rumi Oyama, Catherine Ricafort, Momoko Sugai, Sam Tanabe, Kevin Munhall, Elena Wang, Scott Watanabe and Tony winner Scott Wise. Allegiance officially opened on Broadway November 8, 2015, following previews that began October 6 at Broadway’s Longacre Theatre. As of closing, the production played 37 previews and 113 regular performances. Yale School of Drama Beinecke Fellow André De Shields, who is currently starring in August Wilson’s Seven Guitars at Yale Rep through December 17th, Rory Pelsue, and Chantal Rodriguez are among the celebrity judges for the 2016 Annual YSD/United Way Cookie Swap on Thursday, December 15th at 2:30 PM in the UT 3rd Floor Lounge and Conference. André De Shields and Antoinette Crowe-Legacy in August Wilson’s Seven Guitars, directed by Timothy Douglas. Photo by Joan Marcus 2016. Over a dozen YSD students and staff are baking for the win. You are invited to taste their treats, cast a vote for your favorite, and crown the winners! *Suggested donation of $5. All monies raised will be donated to United Way of Greater New Haven. For more information about UWGNH, visit unitedway.yale.edu. Yale Repertory Theatre is located at 1120 Chapel Street in New Haven. Tickets for August Wilson’s Seven Guitars range from $12-99 and are available online at yalerep.org, by phone at (203) 432-1234, and in person at the Yale Rep Box Office (1120 Chapel Street). Student, senior, and group rates are also available. Broadwayworld.com André Robin De Shields and More Headed to Yale Rep’s SEVEN GUITARS; Cast, Creatives Announced! On Sunday, December 11, 2016, the Nyack Center is presenting a benefit performance of A Christmas Carol, an audio play written by Arthur Yorinks, inspired by the Charles Dickens classic, for the 21st Annual Music and Readings in a Holiday Spirit. Elliott Forrest directs the performance at 7:00 PM. Tony Roberts, legendary actor from Annie Hall, stars as Scrooge, and the cast consists of neighbors performing for neighbors-Teddy Bass, James Marshall, Tiffany Card, Noah Morley, Tom Dudzick, Kevin Pariseau, Sean Fleming, Max Reinhardsen, Andrew Greenway, Elizabeth Scotson, Jan Hilliard, Eliza Simpson, Peter Kramer, Steve Taylor, Lorena Mann, Jen Laird White. Live music performances by John Forster, Martha Mooke and Cause Kidz. Garth Kravits will provide live sound effects. Lia Chang is an actor, a multi-media content producer and co-founder of Bev’s Girl Films, making films that foster inclusion and diversity on both sides of the camera. Bev’s Girl Films’ debut short film, Hide and Seek was a top ten film in the Asian American Film Lab’s 2015 72 Hour Shootout Filmmaking Competition, and she received a Best Actress nomination. BGF collaborates with and produces multi-media content for artists, actors, designers, theatrical productions, composers, musicians and corporations. Lia is also an internationally published and exhibited photographer, a multi-platform journalist, and a publicist. Lia has appeared in the films Wolf, New Jack City, A Kiss Before Dying, King of New York, Big Trouble in Little China, The Last Dragon, Taxman and Hide and Seek. She is profiled in Examiner.com, Jade Magazine and Playbill.com.